Balgownie Estate Vineyard Resort & Spa offers a wide selection of experiences at one site in the heart of the Yarra Valley. Exceptional dining, award winning wines, a luxurious day spa and contemporary accommodation are just some of the wonderful things you can enjoy in under an hour’s drive from Melbourne. Join the staff of Balgownie Estate on Sunday July 8th for the Balgownie Estate’s Annual Wedding Showcase. The estate will showcase their most trusted suppliers, including wedding photographers from local and surrounding areas and will include a fashion parade, which is not to be missed! 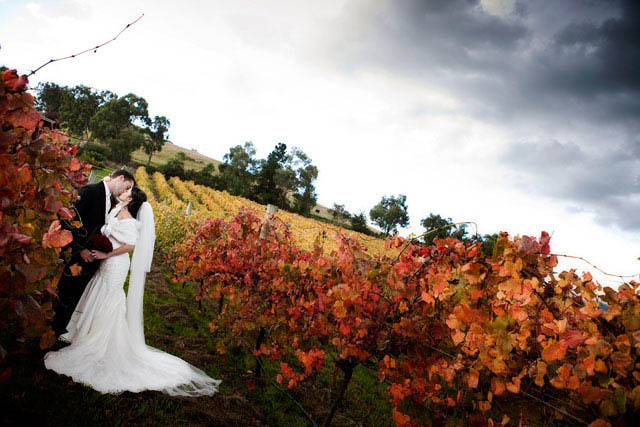 The Estate’s dedicated wedding coordinator will be on hand to answer any of your questions or to give you a tour throughout the Yarra Valley wedding venue. There are also some great prizes on offer – check out the Yarra Valley Wedding Facebook page for details. Inglewood Estate bridal expo with $500 wedding photography door prize!